Absolutely beautiful direct oceantfront home located on a pristine stretch of traffic free sandy beach. The elegant warm atmosphere of the HOME BY the SEA draws you in from the moment you arrive. You can view miles of pristine beach and breaking surf from the all the rooms in the Home. Feel at home with large screen TV's and high speed WIFI. The pillow-top king bed in the master bedroom makes for a heavenly nights sleep. 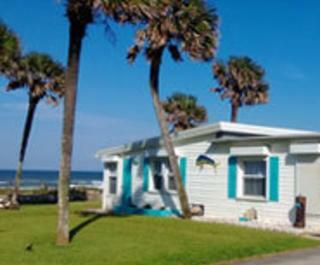 This Home is fully furnished including towels, linens, dishes, pots & pans, beach chairs, umbrellas & toys for the kids. It has been impeccably maintained and pride of ownership shows. The Property is located on a Private street designated for Guests & or Owners only. There is ample parking in the 2 car garage & driveway. Publix Grocery Store , The House of Doughnuts (Coffee & Pastry cafe), Stavros & Lennys Pizza Houses & liquor store are all within a short walk from our house. 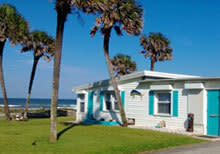 The Home is conveniently located with easy access to I-95 and I-4 as well as four international airports including Daytona Beach (20 Minutes), Sanford (1 hour), Orlando (1 hour) and Jacksonville (1 1/2 hours). The Daytona Beach area is home to numerous exciting and educational attractions including Daytona International Speedway, Ponce de Leon Inlet Lighthouse, Marine Science Center, Deep Sea Fishing and an array of water sports including surfing, kayaking, kite boarding and scuba diving. It is less than a 2 hour drive to all Orlando area attractions including Kennedy Space Center, Disney World, Universal Studios and Sea World. America's oldest city - St Augustine - is just 1 hour away. If you are fortunate enough to rent this Home, I know you'll love it as much as we do and you'll consider it your home away from home, just as we do. Everyone who has rented this Home, makes reservations for a future stay before they leave. Some of the guest comments are very heart-warming.